* game theoretic accounts of spontaneous evolution. Close analysis reveals that the approaches differ on such fundamental issues as the meaning of terms like institution' and evolution'. 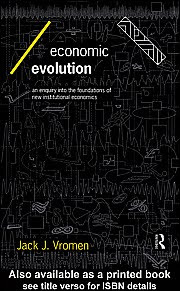 However, the book also uncovers two evolutionary mechanisms that govern processes of economic change in all of these approaches.